Lindsey Buckingham will perform on ABC-TV’s Jimmy Kimmel Live on Monday, October 1. The former Fleetwood Mac rocker will be on hand to promote a new solo collection and his first tour since a split from the legendary band earlier this year. Due October 5, the 3CD career-spanning set (see track list below) includes a pair of previously unreleased tracks, “Hunger” and “Ride This Road”, as well as live versions of solo and Fleetwood Mac hits; the package will also be issued as an abridged single disc set and digitally, with a 6LP vinyl edition to follow on November 30. 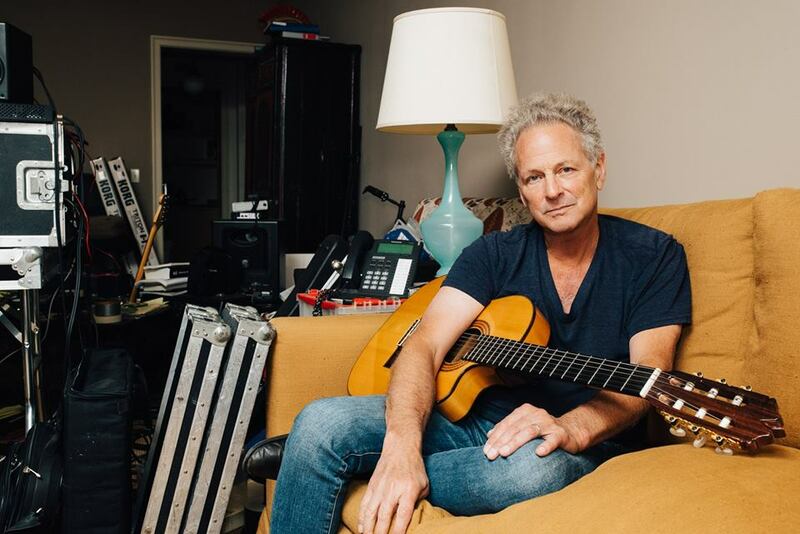 Buckingham will be on tour across North America at the same time as Fleetwood Mac, who brought in Mike Campbell of Tom Petty & The Heartbreakers and Neil Finn of Crowded House to handle guitar duties for shows that will begin in Tulsa, OK on October 3. UPDATE (10/02): Watch Lindsey Buckingham's performance on Jimmy Kimmel Live here. 06. "Doing What I Can"
03. "Sleeping Around The Corner"
08. "You Do Or You Don’t"